Australian-born, longtime-London-based, currently-residing-in-LA photographer Polly Borland dresses up her models in costumes, makeup and, sometimes, spandex to create her own personal visual language. 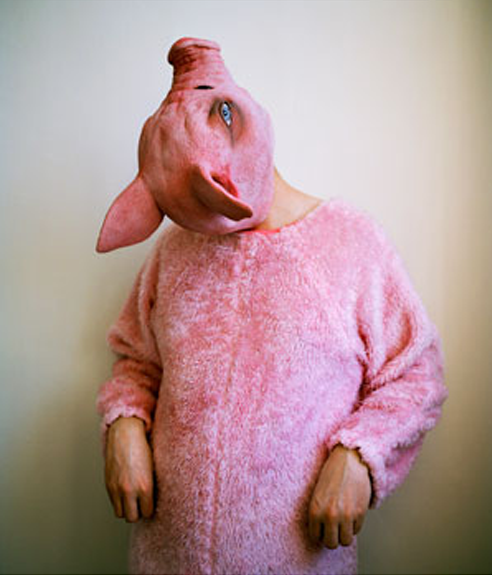 Somewhat creepy yet humorous, Borland’s photos hardly go unnoticed. Having regularly photographed portraits for several UK and American magazines including The New York Times and The Independent, Borland decided to change gears and create her own subject matter by adding a humorously disturbing theatrical element. 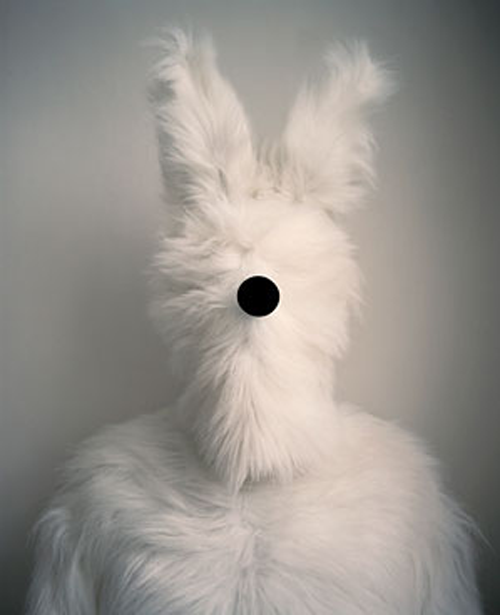 An exhibit of Polly Borland’s photographs from her Smudge series will be shown at the Paul Kasmin Gallery, here in NYC, opening September 22nd. This entry was posted in Art, Event, Fun, NYC. Bookmark the permalink.